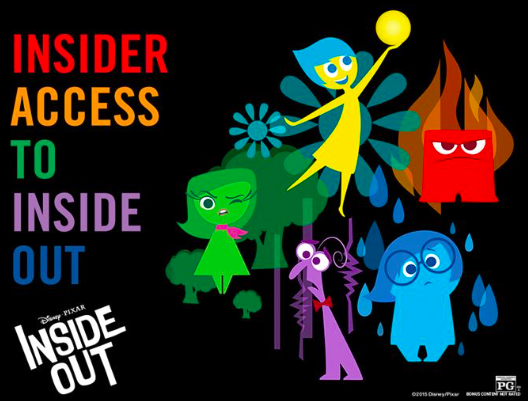 Inside Out is set for a theatrical release date of June 19, but wouldn't you love the chance to see it a few days earlier? According to TheWrap, a unique early screening of the full-length feature film (along with the short Lava) will hit hundreds of movie theaters across the U.S. on Tuesday, June 16 - three days prior to its official release. 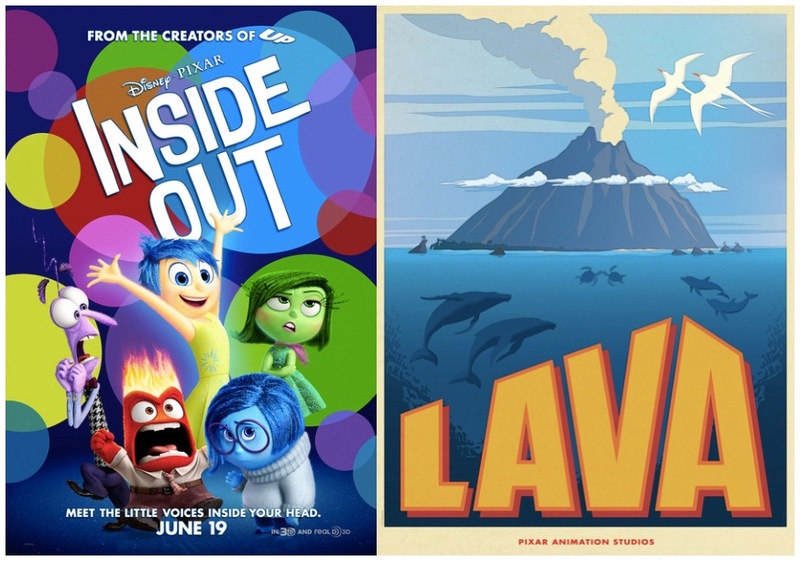 This exclusive one-night event will include a LIVE Q&A with director Pete Docter, producer Jonas Rivera and the voice of Joy, Amy Poehler - whom will be present via satellite from their Australian press tour. The screening which will be presented by Disney and Fathom Events will also feature 15-minutes of bonus behind-the-scenes footage which is sure to delight fans. 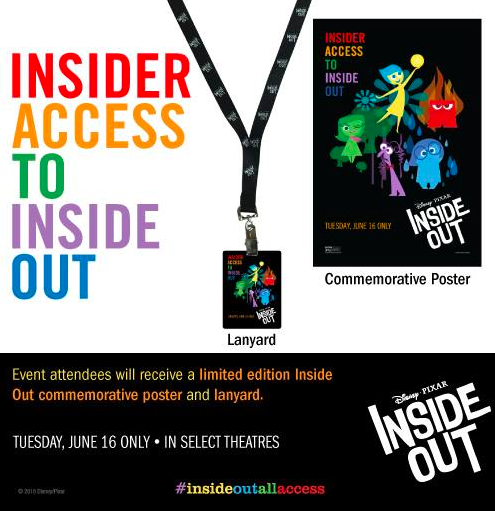 Tickets will be available for purchase on May 15 and while a full list of participating theaters has yet to be released - you can sign up for email/text notices from Fathom Events or continue to follow Pixar Post for all the latest information on this great event. UPDATED May 12 - D23 Members (even free membership levels) can purchase tickets as of now (3 days prior to the general release date). The Fantom Events page also lists the participating theater locations now as well - see if your local theater is participating. UPDATED May 13 - A user on the Pixar Post Forum (goldenstate5) has also brought to our attention that you can buy tickets for the event on Fandango's site of now too! UPDATED May 15 - The event is now on sale to everyone! Get your tickets on the Fathom Events page and enjoy the trailer / advertisement for the event below. UPDATED June 15 - Attendees will receive a limited edition commemorative poster and lanyard with a special digital code to access more Inside Out bonus features.